Rebecca teaches all ages of students, from 4 on up. She seeks to make lessons fun and engaging for her students, while at the same time providing a solid foundation of basic music skills. Her overall goal is to instill a love of music in each student that will carry throughout their lives. 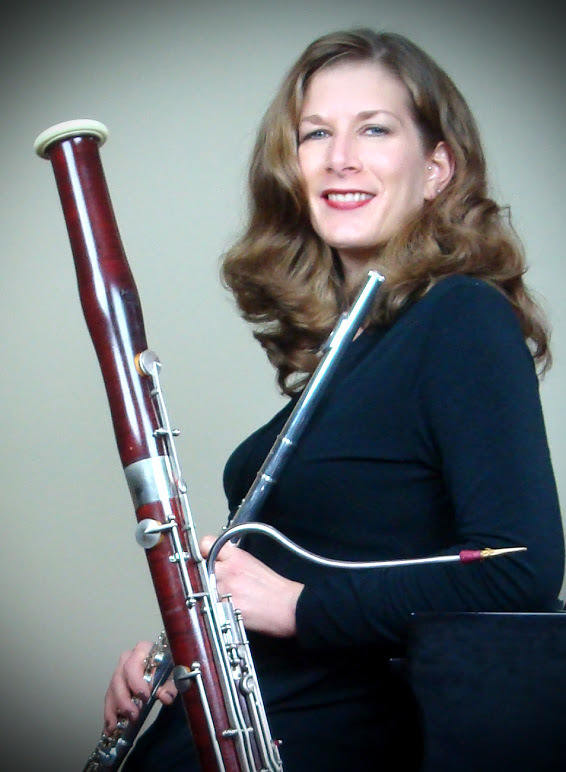 In addition to private teaching, she serves as bassoon instructor at Virginia Tech, and Radford University. She is a faculty member of The Virginia Governor's School for Humanities and Visual and Performing Arts, held each summer at Radford. She is also an instructor at the Roanoke Youth Symphony Orchestra Summer Music Institute, held at Hollins University. Her formal training includes a Bachelor of Music degree in bassoon performance from the highly acclaimed Eastman School of Music, in Rochester, NY. She is also currently working on a Masters degree in Music Education through Boston University. Ms. Meisel performs with the Roanoke Symphony Orchestra as a substitute bassoonist. She also plays with the Lynchburg Symphony Orchestra and the University-Shenandoah Symphony Orchestra at Washington & Lee University. Various other freelance gigs frequently take her around Roanoke and its surrounding areas. On an entirely different "note," Rebecca also plays flute with the Roanoke Celtic Band "Second Wynde" (check them out on Facebook!). Look for them to be playing around town as St. Patrick's Day draws near. She also provides flute music for weddings and special events. She has 22 years of teaching experience and looks forward to enjoying many more!